Dansei Idol Girl ☆ 男性アイドルガール: What is BATTLE BOYS? 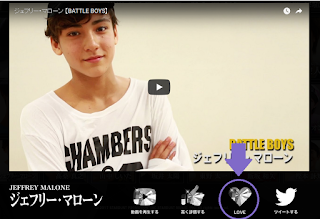 | Show Love for the Tokyo Boys in EBiDAN's Newest Project! If you're subscribed to Stardust Digital on YouTube you may have noticed a few of these short videos popping up lately which feature a member of EBiDAN Tokyo introducing themselves and talking about their skills, charm points, and goals within EBiDAN. Below is Jeffrey Malone's video because I'm biased as heck. So what are these videos for? They're part of the promotion for BATTLE BOYS; EBiDAN's newest project involving the EBiDAN Tokyo members in the wake of STAR BOYS. Fans can vote for their favourite BATTLE BOYS member and so far it hasn't been revealed what the winner will actually get but it could have something to do with deciding who the members of EBiDAN's next group will be, hmm? Maybe? Or it could just be that they'll get to do some kind of solo performance at the next event or something ordinary like that. Either way, winning this competition should be a good opportunity for your favourite EBiDAN boy so why not give him a vote (or three)? Personally I do like Masaya and Ryota quite a lot so I'm happy they're doing well. I think Nagano Sora and Jeffrey Malone need more votes though! 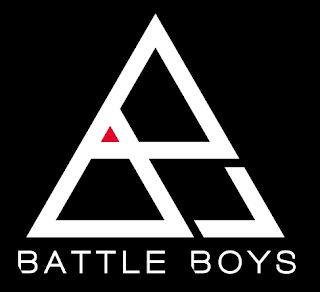 To see the current rankings and to place your own vote, visit battleboys.jp. To vote, simply click on the picture of the member you'd like to vote for and a video will load. Click the 'LOVE' button beneath the video. You can vote 5 times per day. You can either vote for 5 different boys or the same boy 5 times. Feel free to let us know who your favourite EBiDAN Tokyo/BATTLE BOYS member is in the comments and maybe you might persaude us to vote for him too! And now Ryouta Nagano in the first rank :") OMG that changes so fast.